Even though we gather for the roasted turkey on Thanksgiving Day, we all know that we stay for the pie. Pumpkin pie, apple pie, pecan pie… I don’t know about you, but there are so many pie possibilities for Thanksgiving that my mouth is watering just thinking about them. Because Thanksgiving is a day of tradition, a lot of us probably bake the same pie recipes every year. We’re comfortable with these recipes because we’ve made them countless times before and the entire family loves them. However, what would you do if I told you that you could discover 11 new easy pie recipes that you’ve never seen before just with the click of your mouse? Better yet, how would you feel if I told you that these incredibly delicious pie recipes are free for you to download? This Thanksgiving, let Delicious Thanksgiving Desserts: 11 Easy Pie Recipes be your guide to baking a few sweet treats that everyone in your family will love. I put this free eCookbook together because, in all honesty, I was getting bored with the pies that were showing up on my Thanksgiving dessert table year after year. From slightly burnt pumpkin pies to bland, store-bought pecan pies, I was just really unsatisfied with the dessert selection. After all, nobody should have to suffer through a burnt and pretty tasteless pumpkin pie when there are other better recipes to be made. In Delicious Thanksgiving Desserts: 11 Easy Pie Recipes, you’ll find a variety of different pumpkin pie recipes, apple pie recipes, and other pies that would taste wonderful on Thanksgiving. All of the recipes are straightforward and easy to make, which is really nice considering you’ll most likely be worrying about cooking your turkey. After all, if you mess up the turkey, there’s really no going back. The turkey is the main event. The tasty pies are simply the extremely enjoyable encore. When it comes to a traditional holiday like Thanksgiving, sometimes you just can’t beat a classic pie recipe. You’ll probably want to make two of these Classic Pumpkin Pies because everyone will want seconds (or thirds). Nana definitely knew what she was doing when she created this mouth-watering apple pie recipe. 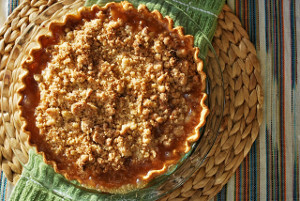 You’ll especially love this pie’s cinnamon crumble topping. It goes perfectly with the juicy tender apples in the filling. We could all use a bit of Southern comfort every once in a while, especially during the holiday season. While this pie may not be as sweet as some of the other pies in the free eCookbook, it is no less delicious. Start a new Thanksgiving tradition with your family by switching up your dessert menu. No matter which of these easy pie recipes you choose to make, you’ll definitely have a dessert that everyone will love. 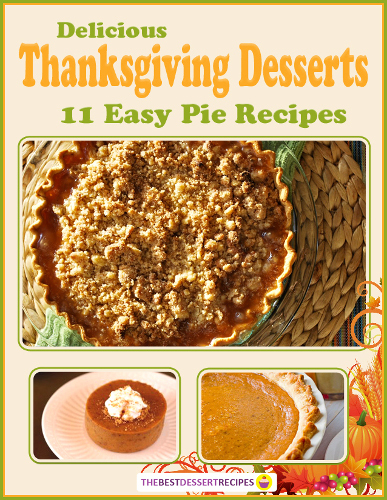 Make sure to download your free copy of Delicious Thanksgiving Desserts: 11 Easy Pie Recipes today! 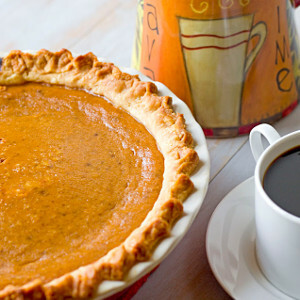 What is your favorite kind of pie to eat on Thanksgiving?